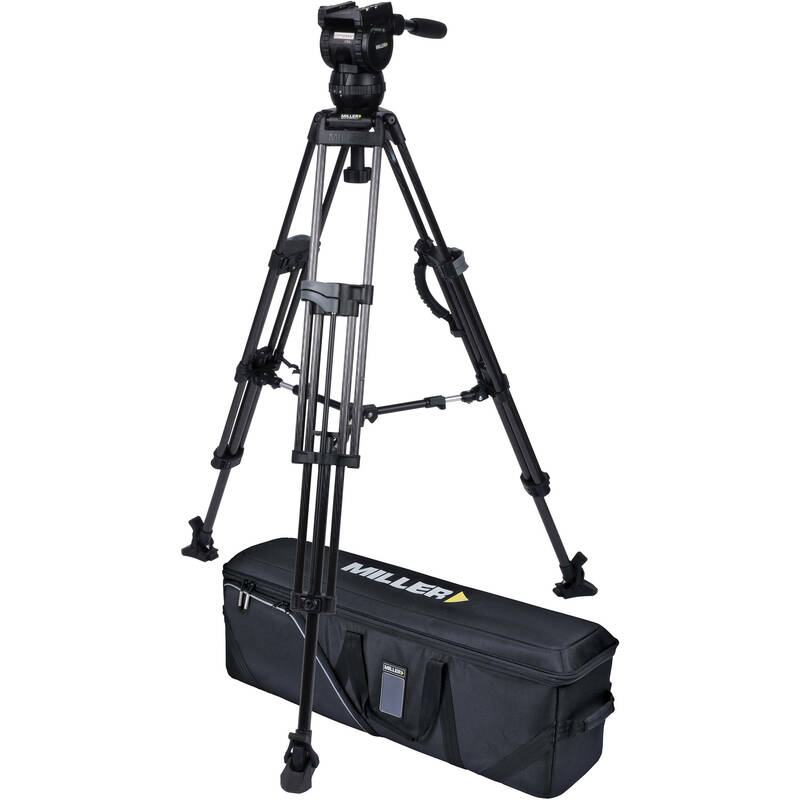 Mount your DSLR, mirrorless, cine, or ENG camera using this complete CX6 Head and 75 Sprinter II Carbon Fiber Tripod with Mid-Level Spreader and Case system from Miller for your studio or field video production. The system includes a CX6 fluid head, a fixed-length pan handle, a 75 Sprinter II carbon fiber tripod, a mid-level spreader, a set of three rubber feet, and a soft carry case. The CX6 fluid head features a 16-step counterbalance system, a 3-step pan/tilt drag, a side-load plate, and a maximum payload of 26.4 lb. The 75 Sprinter II carbon fiber tripod supports a maximum payload of up to 66.1 lb, features a 75mm bowl head and spiked feet, supports a mid-level spreader, and has a built-in carry handle. Read more below about the items in this kit.